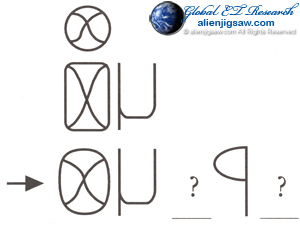 There is much interest concerning an alien alphabet, alien writing and ET symbols, which is why we decided to put together some credible examples of these for our readers who are searching for this information. 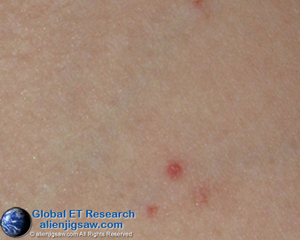 These are by no means the only examples in existence, but we believe they are a representative sample of what abductee-experiencers have remembered. We do not proclaim to know the “true” meaning of each symbol, only what we can glean from what the experiencers and contactees tell us. 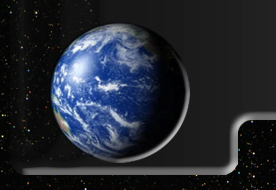 The meanings behind alien symbols and ET writing seem to remain hidden for the most part. We are certain black-budget cryptologists have gone over every symbol of this type with a fine tooth comb and might actually know more about them than we know. It seems the underlying knowledge pertaining to these writings has for the most part, been placed in our subconscious minds until it is required at a later time. 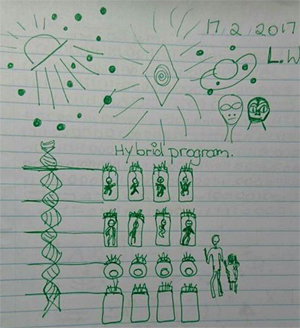 This is probably done in order to protect abductee-experiencers and contactees from other humans who would do “anything” to acquire extraterrestrial and/or interdimensional knowledge, or for reasons of which we are still unaware. 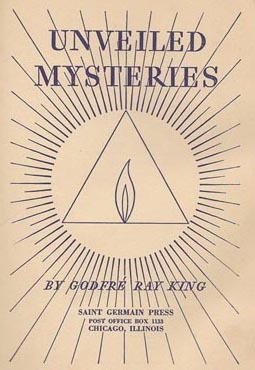 Extraterrestrials and Interdimensionals not only teach and communicate through symbols; they also use more direct approaches such as visions and visual symbolism such as this image. Another example of the latter is taken from an account by AJ who has experiences with, among others, Super Conscious Beings. This Contact case reveals that the Super Conscious Beings have been with us for a very long time and are monitoring humanity’s progress. 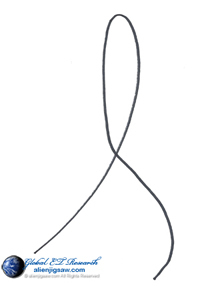 This is the third symbol AJ remembers. 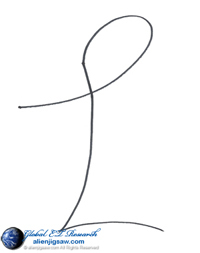 This symbol has also been seen by others and their symbol sets are published later in this article. 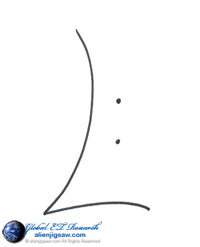 This symbol is similar to the symbol Jim Sparks identified as the letter F, but without the dots. The dots most likely have additional meaning when paired with this symbol. 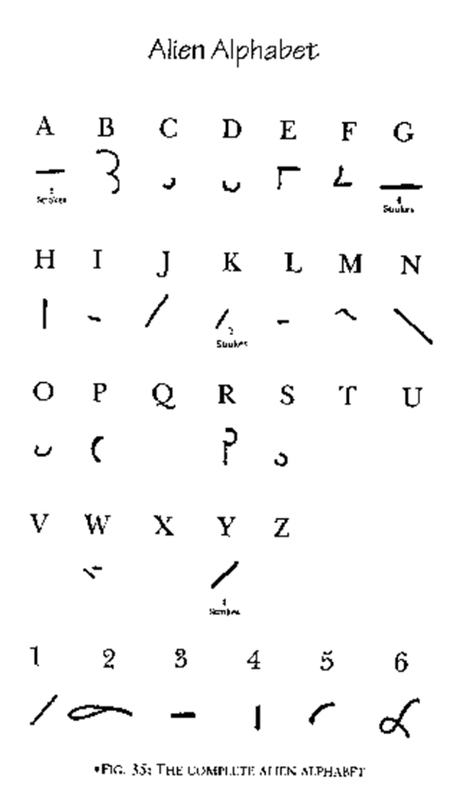 Contactee Jim Sparks was taught an alien alphabet which he published in his book, The Keepers, in 2006. 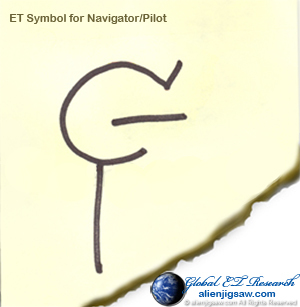 This is a personal symbol that represents AJ being designated as a Navigator and Pilot of ET Craft. 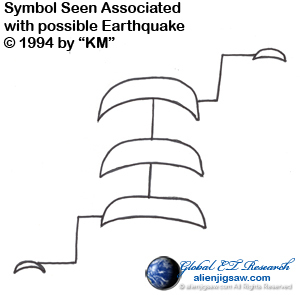 This is a symbol that was seen in conjunction with information relayed by an ET pertaining to a possible earthquake. Writing seen by AJ while transcribing text for a group of unknown people in 1992. 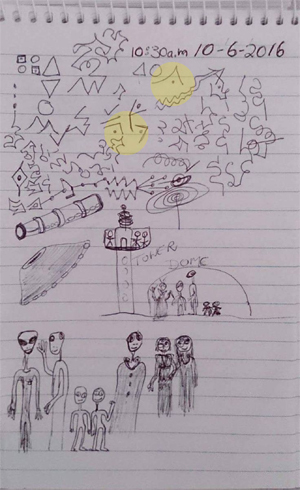 Symbols seen while AJ and others participated in an ET gathering which could be interpreted as a mass alien abduction in 1994. The Roswell I-Beam and Jessie Marcel, Jr.
“…maybe it says, ‘do not flush in zero gravity’ or something like that… and we looked at this for 10 or 15 minutes….it is something that you will remember the rest of your life, and by golly, here we are almost 60  years later – it’s still there.” – Jessie Marcel, Jr.
And There are Those Who Think Contact is Over? Check out these dates, the Beings and the symbols depicted. 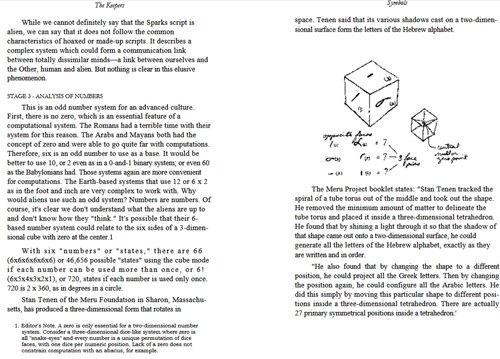 The Following Pages are from a Source we refer to as L.W. Notice the yellow circle highlighting a similar symbol that AJ saw back in 2008. 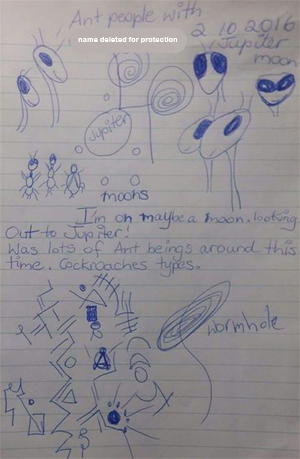 The highlighted symbols are very similar to other abductee-experiencers’ and are considered alien writing. We find this statement of particular interest. 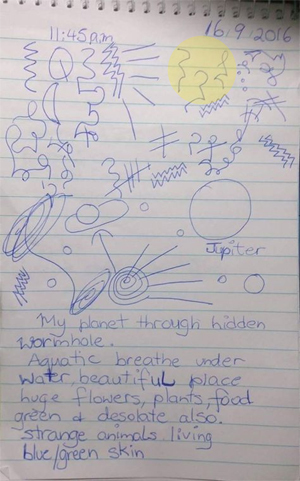 This individual saw themselves as being on a moon and seeing the planet Jupiter. That would imply that one of Jupiter’s moons is habitable and can host a human being, at least temporarily. And, the idea of traveling through a wormhole is depicted again. Notice what appears to be a DNA strand on the left attached to containers with fetuses or babies inside them. An adult [Being?] and a young human are observing. 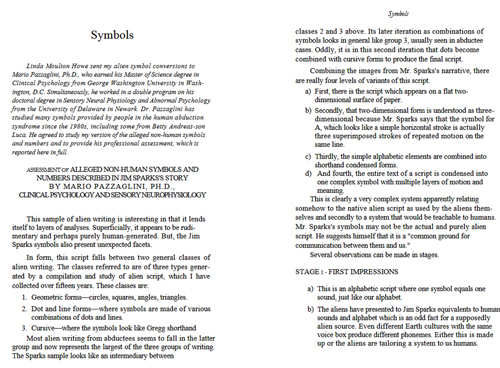 Again, the same symbol is depicted alongside images of insectoid or mantis Beings. 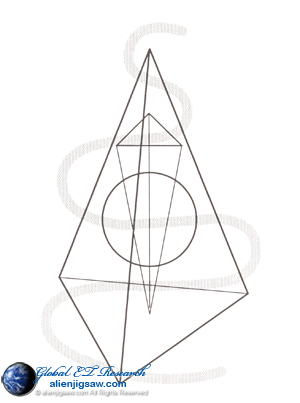 Some of these symbols are very familiar to us while others are not. The above five illustrations were shared by a minor so we are not providing any other information in order to protect them from Internet harrassment. 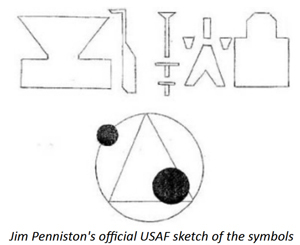 The meanings behind alien symbols and ET writing seem to remain hidden for the most part. We are certain black-budget cryptologists have gone over every symbol of this type with a fine tooth comb and might actually know more about them than we know. 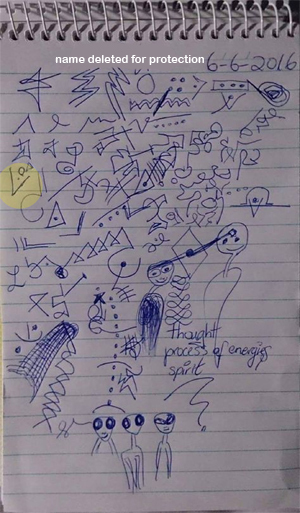 It seems the underlying knowledge pertaining to these writings has for the most part, been placed in our subconscious minds until it is or will be required at a later time. This is probably done in order to protect abductee-experiencers and contactees from other humans who would do “anything” to acquire extraterrestrial and/or interdimensional knowledge, or for reasons of which we are still unaware.